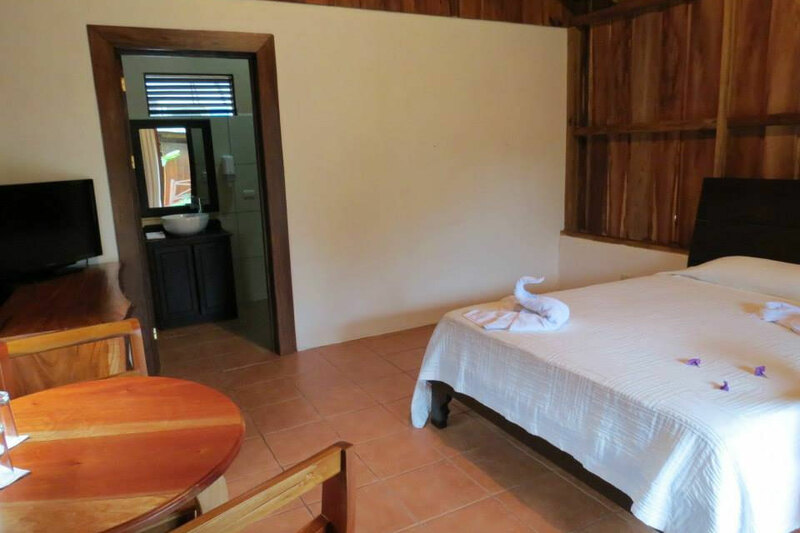 Located five minutes walking from La Fortuna de San Carlos central park, exactly 400 meters North of the National Bank, in a very quiet area, the ideal place and super accessible to any sales store, restaurants, banks, pharmacies and other necessary sites on your vacation. 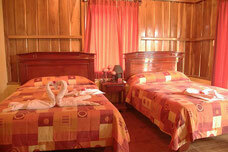 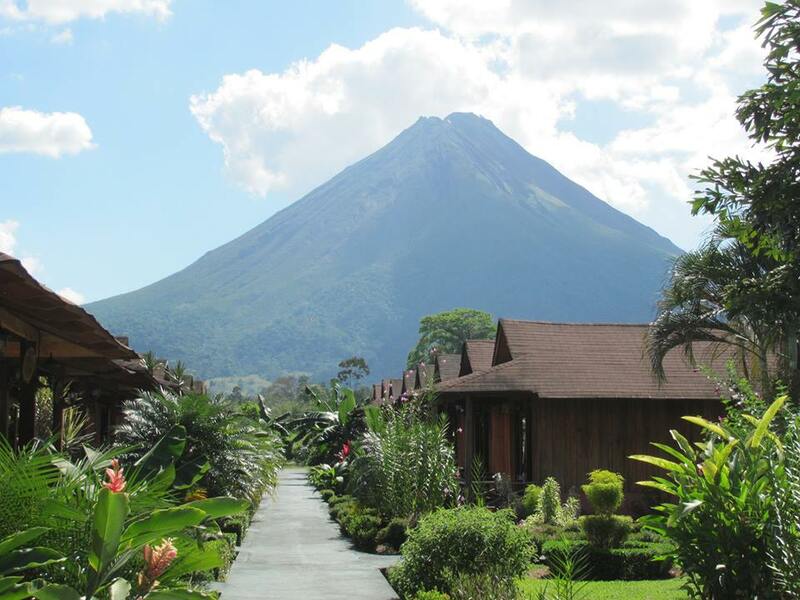 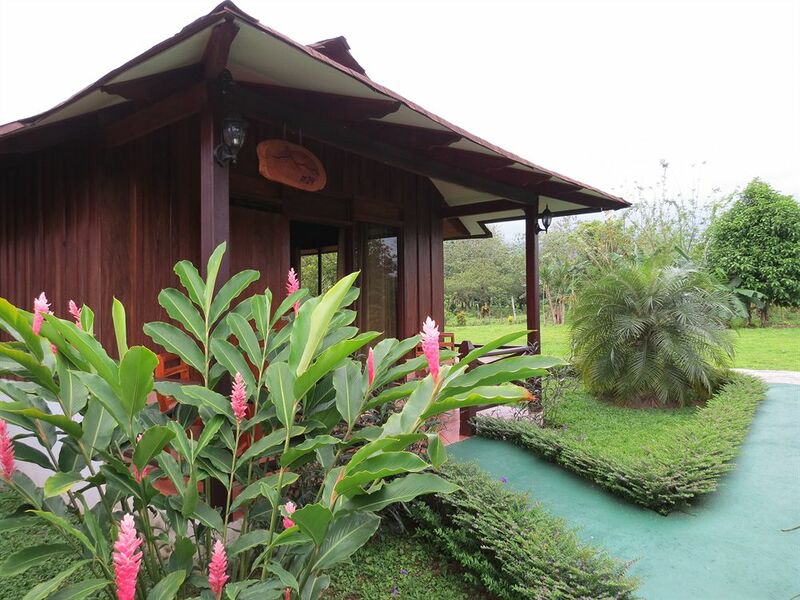 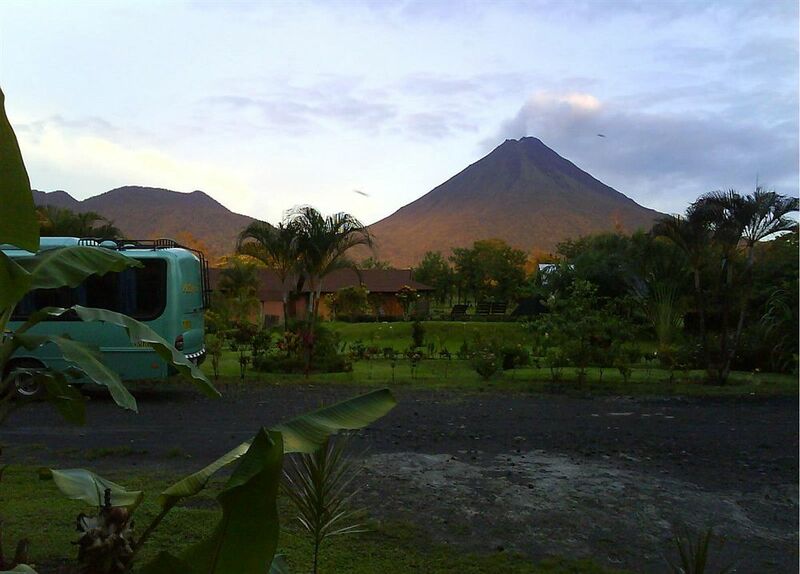 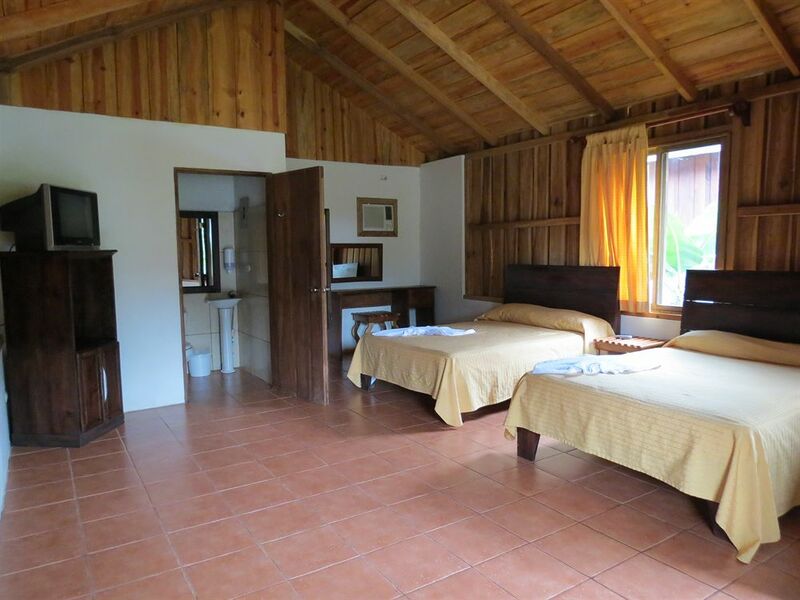 In Arenal Evergreen we have included this small and cozy hotel in your Holiday Package in Costa Rica, to enjoy your stay by staying in cabins of fine woods surrounded by lush gardens in conjunction with the scenic beauty of the Arenal Volcano, will make your stay something unforgettable in your visit to this area. 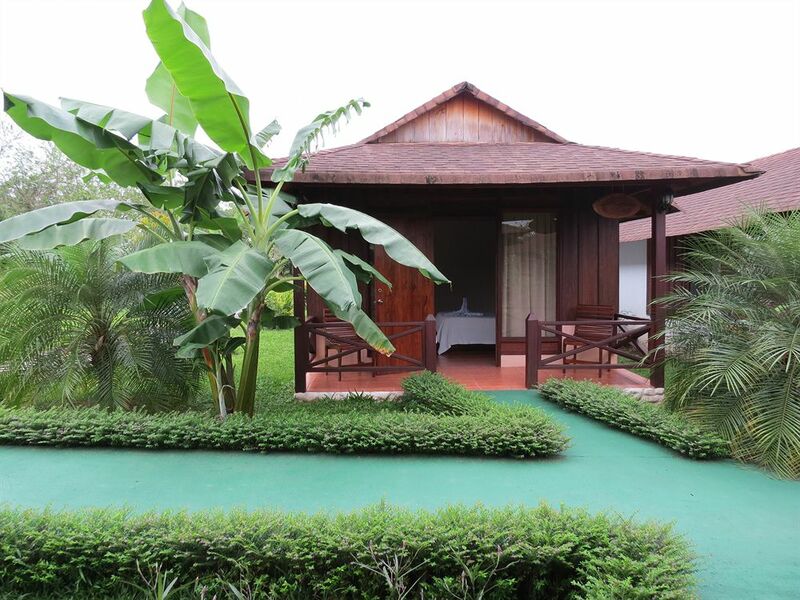 Each cabin has an outdoor terrace, from where you can observe the birds and butterflies that flutter among the flowers and plants of the hotel gardens, you can also read your favorite book or just breathe the tranquility that you feel in this your hotel. 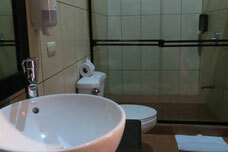 WIFI connection in reception area. 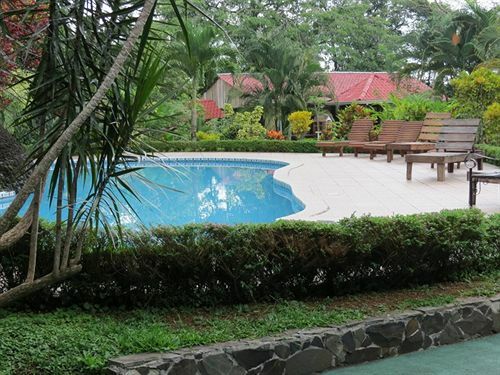 Pool surrounded by beautiful gardens. 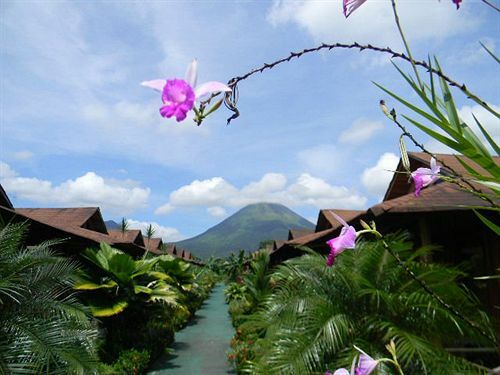 Green areas with a variety of plants. 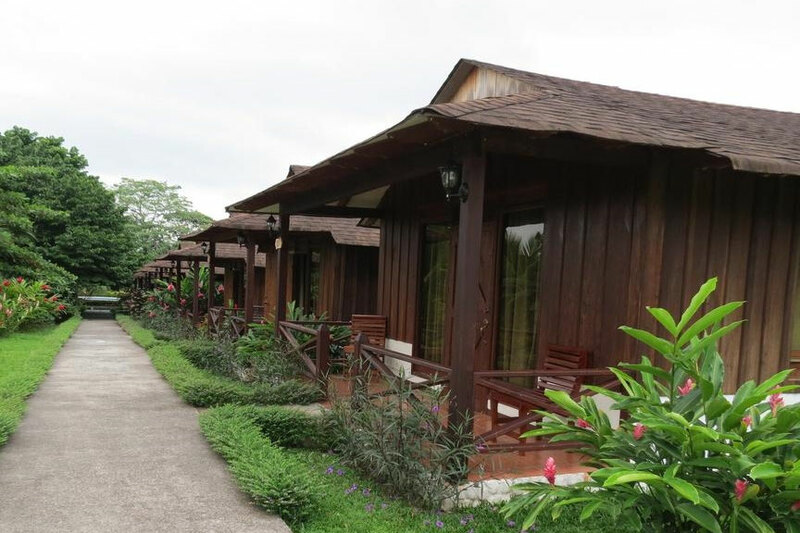 Cancellation Policy / No Show: Once the reservation is confirmed, please notify us by email of any cancellation or modification of the reservation at least 8 days before arrival for individual bookings and two weeks before for group bookings. 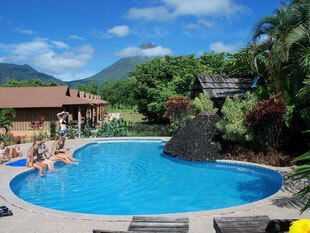 Please fill out the form if you want to reserve the Arenal Montechiari Hotel.